Paul McCartney’s Solo Career 1970-2010 (ISBN 978-1-936343-42-3, Paperback, 210 pages, $15.95) presents a comprehensive and meticulously-researched retrospective on one of the world’s most successful singer/songwriters. Filled with fascinating details about the legendary ex-Beatle, Paul McCartney’s Solo Career 1970-2010 chronicles both the successes and failures of McCartney’s work as a solo artist—from his devastating departure from The Beatles in the 70s; to a roller coaster decade of success and disappointments in the 80s; to his return to touring, and reigniting his career. 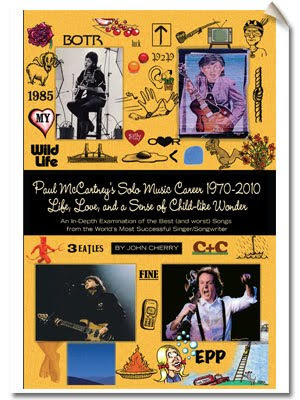 In this thorough and in-depth examination of the last four decades of Paul McCartney’s solo career, author John Cherry provides a detailed and thorough guide to McCartney’s music, influences, and lyrical interpretation. Moreover, Paul McCartney’s Solo Career 1970-2010 includes a careful review of McCartney’s songs, an eye-opening look at McCartney’s musicianship and the wide range of instruments he was able to play, as well as the vast and diverse group of musicians who played with McCartney over the years. A native of North Carolina, John Cherry retired from a career in college athletics fundraising in 2005. He now lives in Florida. Cherry is also the author of War on U.S.: How Policies and People are Destroying America and Better Than Lennon: The Music and Talent of Paul McCartney. Better Than Lennon was nominated for the “Excellence in Historical Recorded Sound Research Award” as presented by the Association for Recorded Sound Collections. 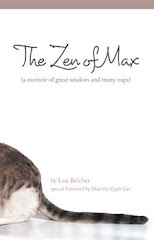 Available for purchase at www.betterthanlennon.com with special bonus items included, Paul McCartney’s Solo Career: 1970-2010 is also available wherever fine books are sold. The Peppertree Press is an independent book publisher based in Florida. Members of the news media wishing to request a review copy of Paul McCartney’s Solo Music Career 1970-2010 are kindly asked to contact Maryglenn McCombs by phone— (615) 297-9875, or by email—maryglenn@maryglenn.com.